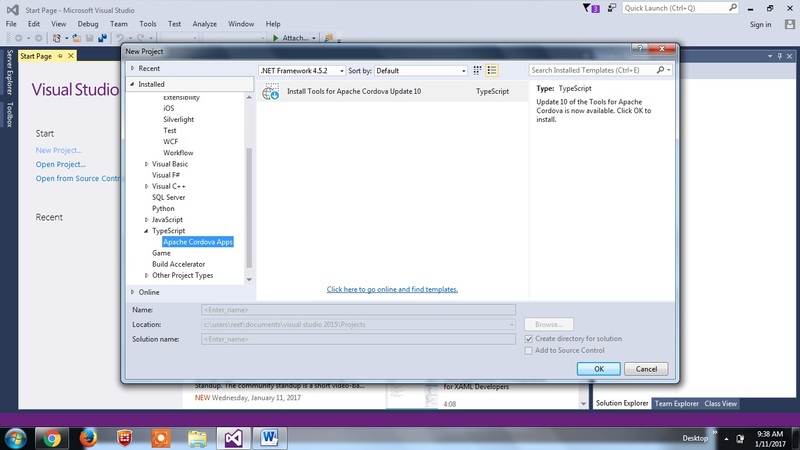 Simple steps to use wysiwyg angularjs rich text edit. It is very simple in look and as well simple to implement. Just follow the step by step way as given below to implement for AngularJs. 1. Need to Install the visual studio 2015 Community Version. Open Visual Studio à click on New Project . Select Type Script à Apache Cordova App like below.